Treat your navel piercing to this funky Silver Jewelled Navel Banana with Clutched Gem. This bananabell is made from Silver 925 with 316L Surgical Steel pin and balls. Ideal for all occasions, dressed up or down. 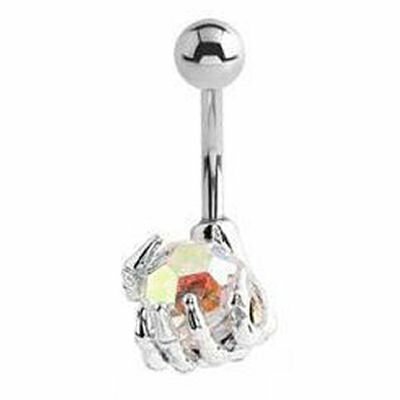 This jewelled navel bananabell is the ideal gift for a special someone with a belly piercing.